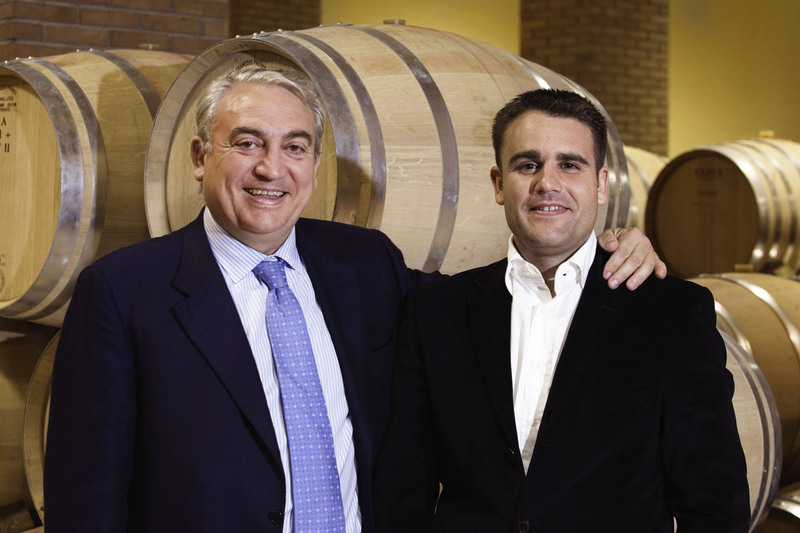 – The Antóns have been the face of Izadi since 1987, when their passion for wine was combined with their love of good food. All of this in the heart of the Rioja Alavesa. In 1987, Gonzalo Antón, together with a group of friends and business people from nearby Vitoria, began a groundbreaking project in deepest Rioja Alavesa. The village of Villabuena de Alava, where his family already grew grapes, was chosen as the location for the innovative bodega which would focus on making fine wine. Gonzalo’s knowledge of hotels and restaurants soon made Izadi one of the most highly-regarded wines in gastronomic circles. At the same time, the introduction of new winemaking techniques and continuous improvements in quality set a house style over time. When Lalo Antón joined the company in 2000 it expanded and began to increase its exports. Projects, such as Finca Villacreces (D.O. Ribera del Duero), Bodegas Vetus (D.O. Toro) and Orben (D.O.Ca. Rioja), were undertaken under the name Artevino.